It is never too late to restore optimal oral health. Whether you have a severely damaged and diseased mouth or you need regular, comprehensive dentistry to maintain your healthy smile, Dr. Cherry and his staff at Florence Dental Arts are ready to partner with you. Each of our patients are unique, so we will invest time and effort learning about you, planning your case, explaining our recommendations, and building a strong smile that you can enjoy forever. You’ll receive personalized care and attentive, authentic service every time you visit. We pride ourselves on being a family-oriented dental practice. 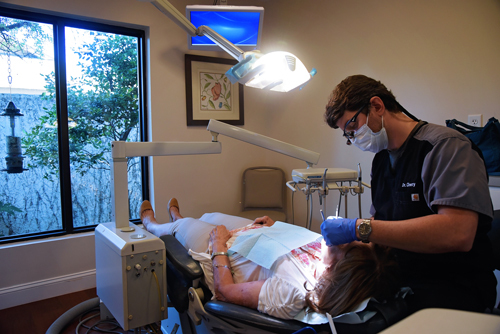 For comprehensive restorative dentistry, general dentistry, children’s dentistry and cosmetic dentistry, discerning individuals from the Florence SC area and the greater Pee Dee Region turn to Florence Dental Arts. We provide extended office hours to cater to patients of all ages and from all walks of life. Dr. Cherry and his experienced team are eager for you to live life to the fullest with a healthy, beautiful, lasting smile. Call today to reserve your personal consultation, and we’ll give you something to smile about!